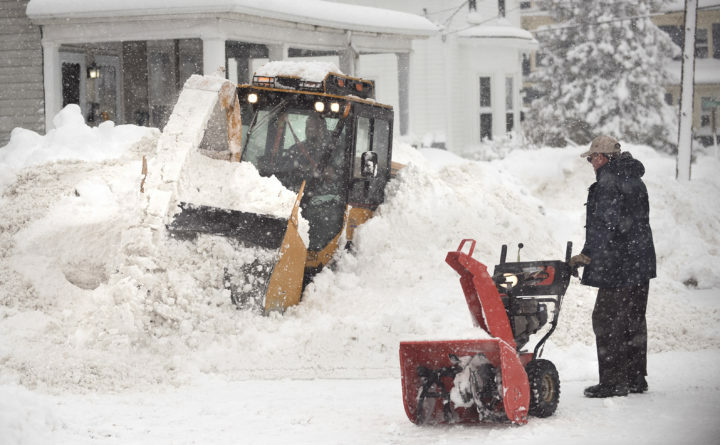 Bill Spaulding takes a break from clearing snow from his driveway to wait for the Bangor Public Works machine to battle its way through a massive snowbank. All indications are that this weekend’s storm is going to be a whopper, delivering more snow in one day than we’ve had so far this season. Our print delivery staff and carriers are getting as ready as they can be, but we do anticipate issues with paper delivery on Monday. To make sure everyone can get the news they need over the weekend and into Monday, we’re lifting the paywall Saturday until the storm is over. Don’t forget: If there are snowdrifts between you and the paper in the green tube on Monday, you can always read the e-edition instead. As of this writing, 60 percent of you (at least those of you who answered our poll) are excited for the snow, so here are some cute animals to help you get in the spirit. Or you could just be this gal, and go back to bed.